There’s a trifecta of great titles for Taylor & I to look at this week, plus one very special mention. First up, we keep ourselves occupied with Occupy Comics #1 from fledgling publisher Black Mask Studios. 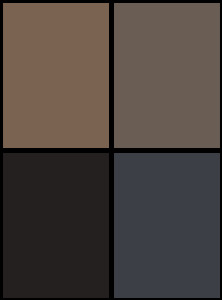 Then we take a look Mike Garley & Martin Simmonds’ Eponymous #1, which debuted as part of the recent VS Comics Anthology. 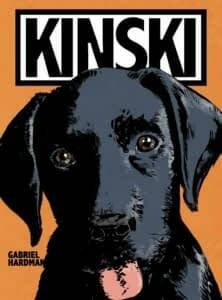 From there we turn our attention to the first issue of Gabriel Hardman’s solo effort Kinski from Monkeybrain Comics. Gabriel & I discuss the art of storyboarding, how the collaborative process differs, applying the 180-degree rule, and what themes can be explored in the relationship between a man and his dog. It’s a fascinating glimpse into the life of a creator equally at home behind the drawing board or on the film set. If that’s not enough we also take a quick peek at Michael May & Jason Copland’s Kill All Monsters webcomic which was successfully funded for a print edition on Kickstarter last week. Kaiju monsters and giant mech-suits … What more could you want? To get in touch, send feedback or submit projects for consideration, please email reviews@popculturehound.com. And if you missed last week’s episode (or any others) you can find them right here or subscribe via iTunes. A New Bleeding Cool Magazine Is Out Today!